President & CEO Canada Science and Technology Museum Corporation. For the first time, the extraordinary history of Canada’s airshow teams is recorded in its entirety. 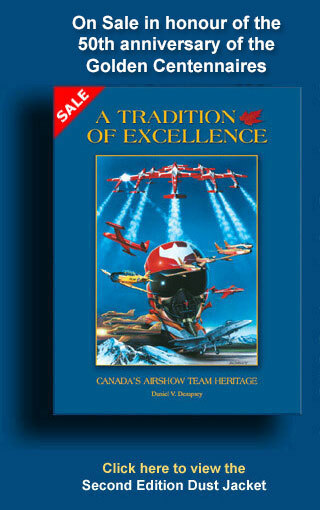 Meticulously researched by former Snowbird team leader Lieutenant Colonel (Ret’d) Dan Dempsey, “A Tradition of Excellence – Canada’s Airshow Team Heritage” documents the scores of Canadian military air demonstration teams that have thrilled millions of airshow spectators for over 85 years. From the Siskins to the Golden Hawks to the Golden Centennaires and Snowbirds, every Canadian demonstration team is represented in the book. Relive this unique historical journey through the author’s in-depth investigation and personal accounts from dozens of team members who performed with the teams in Canada, the United States and Europe. Theirs is a story of pride, professionalism and perseverance – a true reflection of the Canadian aviation spirit which helped build a nation. 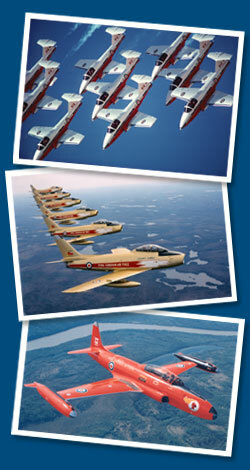 This high quality production features 768 pages of history, the largest aviation title ever published in Canada. Some of the world’s finest aviation photographers have contributed more than 1,800 photographs, hundreds published here for the first time. Also presented is a collection of stirring airshow paintings and specially commissioned full colour aircraft profiles by Canada’s leading aviation artists. Together, this unique collection portrays a legacy of aerial excellence.